It is basically the question of complexity of your idea. If you can afford it, native is always a better choice, performance wise. Native apps are made for a specific platform like IOS or Android, and that means to get that application across all platforms, you’ll have to develop it for each one separately. That requires a lot of effort and money. Native applications are more responsive, and offer a faster and reliable experience than hybrid’s on any given occasion. But on occasions, going for a Hybrid makes more sense. Hybrids can be build more easily, and faster than native apps. Consider you just want to create a simple travel-blogging app where people can post articles on their travel experiences. The simplicity of the idea helps in achieving a simpler design, and that is perfect for a hybrid to function at its full capacity. Also, with Hybrid apps, you don’t have to worry about building for each platform separately. It is built on one single core and you can add functionality and have multiple versions of the app all benefit from it. Hybrids can come “Very Close” to providing the Native user experience, but in my opinion, Native applications are still a better option. All technicalities of making a chat app aside, you need to ask yourself, is your idea really worth it. There are a lot of chatting apps available in the market today offering great user experience. These applications such as tinder, whatsapp, Fb, cover and solve a most of major needs of daily communication. What is your application going to solve? You have to be clear on what you’re making, and why, and for whom? You can get in touch with an IT development firm and discuss your idea with them. You can clear your remaining doubts and hire a dedicated team to focus on making your dream a reality. 1. Concept development- Discussing and mapping out your idea and the plan to create it. 2. Design- Making the Ui/Ux wire-frames and figuring out the flow and features of the app. 3. Coding- Giving the app flow a structure to stand on. 4. Testing- Here, the app-experience is tested to see weather the app really is as engaging and responsive as you thought, and if there are some shortcomings, how to fix them. 5. Marketing and Backend- After your application is live, you will need to make its presence known to the masses. This is why, having a idea that addresses a great need or offers something different and interesting, is necessary. People want to buy stuff that brings something more to their lives. They will always choose the better experience. Good marketing is the key to success. You’ll also need backend support for the management of your application. This roughly sums up what you’ll be facing while making an(y) Android chatting app. How much does it cost in software engineering costs to build an app like Uber? As most of the previous answers echo; it depends on your idea. Consider how your applications is going to be, meaning, how many features there going to be, and how complex the app-flow is. The more complex the application, more time development will take. Also, it depends upon the people working on your application as well. Standard rates can range from $75 to $100/hour normally. Some programmers or companies may charge you more or less, depending on what deal you present to them. Your only choice is to research your options thoroughly. A good team is always going to be a better choice, even if it comes with a little extra on the bill. I want to build a ecommerce app. What are the things I need to know? First of all, do your market research. Try to find out everything you can about similar apps active in the market, and determine weather your solution (idea) has something different or unique to offer. In today’s fierce competition, your presentation i.e. User interface and user experience. Your focus should be making an application that offers a unique UI/Ux experience, along with being quick, responsive and well-managed. You also need to determine what platform your user-base prefers. Creating an app for both platforms is better, but it’ll cost more. After you have established which one you’ll be going for, assemble a team of developers. A small team of dedicated professionals is what you need. People who are dedicated to the task at hand, as their own gaming console. Also,creating awareness for your product should be one of your priorities. Interesting content such as blog posts, articles, graphics, along with a bit of your product introduction can do wonders. You can conduct surveys to determine what more your customers want. Adding a little extra for your customers is always a smart choice. How does one estimate the cost and time needed to a development a game/application? Before starting, my recommendation is, you get a team of dedicated, no-nonsense professionals, who can deliver what they say. Smart people will tell you where you need to improve and will ask for what they really think they deserve. If you want to figure out a standard rate, go to a few IT development companies, and reference a game you think matches the complexity of your idea. They’ll give you their explanation of the steps involved and the average cost for making a similar game for you. Meeting different developers will help you in figuring out who can give you the best quality. If you have figured out the layout of your game, you can help your developers in making the development process quick. They can likewise give their opinions on what they think is working and what is not. A good team is the best part of any good deal, and a quick process means less cost. Why should I build a mobile app targeting a specific platform vs develop a mobile HTML5 website? The answer is simple. They are two totally different things and the only reason why you want to choose between them is, you haven’t figured out your business flow yet. By business flow, I mean how you interact with and provide services to- The audience (Your existing customers, and those who are interested but ignorant of your presence). The answer depends on why you want to create any of them in the first place. A mobile app and a website have different functions, more or less. Having a HTML website makes sense, if your purpose is just promoting your business and engaging with your customers. A website gives you more control over publishing and sharing content and you can interact with customers and keep them updated about what’s going on in your company. A website marks your presence in the internet and functions as your visiting card. It provides the curious (People who are interested in what you stand for or what you have to offer) a place to know you, and your objective. It also creates (Along with social media and other online platforms) a stage for promoting your services. For example, if you have a gaming app- along with the help of other promotional mediums, you can keep updating your website with blogs and other content about the game to keep the interested parties informed. A website is open to anyone with a smartphone. On the other hand, App starts to make sense when you have a specific idea which is unique (Or better than the existing ones), New, or addresses a necessity, and can be made and provided using a set of features and functions, wrapped in a suit of coding and Ui/Ux to stand upon. Now, when you make an application, you have to consider what platform your target audience prefer. Making an app costs plenty. It is a waste of money if your target audience is on one platform and you make the app for the other, or both. A good application is the one that is as much as it needs to be. Not more, not less. While a website is you getting ready for war, an application means that you’re in the arena now, and the game is on! How do I make my app easy to be found? Even before you have an app, the thing for you to do is figuring out what your application brings for the customers, and more importantly- who are your customers. For example- If your application deals with an issue like transportation (App Eg. UBER)- you have a wide audience. It is something that affects a school going kid equably as an old lady coming back from a tea-party with her friends ( Excuse my stereotypes). In cases like these, if you are first to address this sort of problem on a big scale, you just have to put the idea in front. It can be done through social media platforms like Youtube, Instagram,Fb and twitter etc. You can spread awareness and at the same time establish your business ideologies. If your customers know and like who you are and what you stand for, they’ll want to be associated with you. Even if you have existing competition, if you are bringing better quality to the table, it’s just a matter of the news breaking out. Although, big companies focus on building a loyal customer-base by staying in constant touch, inviting opinions and respecting and learning from criticisms. If you have an idea that’s fairly new and innovative, you’ll first have to identify the people who can be interested in buying or even knowing about it. It can be done through social media, but you’ll have to focus on the content. Content should address your unique customer-base, while inviting interest from everywhere. Methods such as SEO and SEO can be used for shaping and distributing content across different platforms. Your content should be fresh and original, and should have a steady flow. IT is not necessary to “Always be pitching”. Informative content about your industry and views on various factors that govern it are always received well by online community, given it be interesting and well-crafted. You can push your content on social media platforms such as – Youtube Blogspot, Twitter, Instagram, Pinterest, Linkedin etc. Just make sure your content is customized for the particular platform that you’re posting on. How Much Should it Cost to Hire an App Developer? It depends on the structure of your application. The more complicated the app is i.e. The more features and functions it will have, the more time it will take to build. And as we all know, Time is money! You can figure out a good deal by visiting a couple of IT firms. Get their opinions on application and their estimation of the cost. Also, figure out what the charges will be if the project goes longer. There is no standard rate as every customer and every developer has different standard. But normally developer can charge you from $60-$100/hour. Some may charge you more, depending on their brand or specialties. How much do you earn via your Android app [paid or free]? It is the matter of how good your application is. You can make an okay app and hope to earn from it by trying all sorts of methods, but it won’t work unless you’re really lucky. The selling point of any app is its ability to generate interest. If people want to use it, they’ll pay. You should focus on making your application the best it can be. If you make a game for example, and it offers a really good gameplay; users will buy it. They’ll even tolerate API’s. It is mutual satisfaction. The better quality you provide, the better your revenue will be. After you are done making an awesome App, your next task should be generating interest and spreading awareness about it. What are the requirements for making a social networking app for Android? The point I’m trying to make here is, if you are going to perform an already performed task, do it in style. Doing the same thing over and over and expecting different results, as Einstein said, is Insanity. If you’re clear on this point, you can then follow on what Mr. Mayank Pratap described in his answer, keeping in mind that it is ultimately going to be your unique input to the mix that will do the trick. How do I host my Android app in the play store? What are the procedures to be followed? When you’re ready to publish your application on the App store, first thing for you to do is, making a developers account on Google play. Signing up for the developers account costs $25 and it is a one time fee, providing you a lifelong access to the developers console. After that write a suitable description for your application, noting all the key features and services. It should be short and precise and should tell the customer exactly what to expect. Make sure to upload screenshots to give the users an idea of your design. Make sure that your screenshots are of the right perimeters.Then with the help of an IDE such as Eclipse along with the Android SDK or Android studio, you can create a package for your app. Then upload the “.apk” file on your profile and your app will be published in about an hour’s time. how secure i’ll need my app to be? As secure as it canbe. Any existing loopholes in your application can make it vulnerable to a hacker ora malware. Many of the top downloaded apps for both Android and IOS have been hacked. Privacy and performance are two of the most important features for any app user, so you have to ensure that nothing compromises these things. Your framework should be designed covering all the loose ends. You can study about the latest security threats and impliment security measure for those to which your application can most likey be a target. You can study the problems other apps similar to you faced and how they got back up again. Having the ability to learn from experiences of others is wisdom. Try to make your code as robust as you can. Use tools that can help you in securing your code by detecting vulnerabilities. One of the best way of ensuring your app’s security is doing mobile phone authentication. Strong identification and authentication helps your app in staying on top of any threat. Here is an article I found, that may help you further. Who are your target users? Your target audience are those people who are interested in what you have. For example, the target audience for a stand-up comedian are people who like stand-up comedy. If we go into the depth, these audience canbe seprated into groups who like a certain kind of comedy. lets discuss Airbnb. Airbnb matches people who want to visit a new location with the people with available renting space. For Airbnb, the target audience are both, the people who want to visist new places and the ones who want to rent their properties. I hope this helps you in getting an idea of who your target audience are. How do you prevent hired developers from stealing code? There is no full-proof method to make your code totally unstealable, however, procceding carefully can help you a lot. The most important part in this is, working with the right people. When you’re hiring, ensure that you are working with people you can trust and who have a good reputation. People who have good skills may charge you a little extra, but it’sworth it. After all you are making something that you believe can achieve greatness. Make sure to introduce the IP assignment clause while preparing the employment contract and founder agreement. Stay in constant touch with the progress of your project and the people managing it. What is the best cross platform for mobile app development? Native apps offer much better performance and responsiveness, but it will cost you more to make one for each platform separately. If you’re sure that whatever you want to accomplish can be done with a hybrid app, they make much more sense as these apps. can be used across different platform likewise. This saves cost while increasing your reach. I am building a mobile app. How can I protect from theft when I need help? If you’re going to have to work with another developer or a team of them, make sure that they are professionals who have a good reputation and who you can trust. Trust and the willingness of both parties to keep it is the key thing in any good deal. You provide for them fairly and they will work to make you successful. In other terms, build a trustworthy relationship with smart people. One advantage to this is that in any future collaborations, you won’t have to worry about anybody stealing your code (Idea). But, to know a person from just one or two meetings is hard. You can introduce the IP assignment clause while preparing the employment contract and founder agreement. This will keep at ease while you build a good professional relationship with your team. Stay in constant touch with the progress of your project and the people managing it. Can you develop for both the iPhone and Android? If you’re passionate enough, anything is possible. I have seen developers who are equally efficient on both platform and can switch to whichever platform needs them. If you’re a beginner, I’d say perfect one platform first, give it time, and then move on to the other platform. Programming relentlessly is the key. Experimenting is the fun part. You can also learn cross platform mobile development to write a single code base for different platforms. What type of analytics are possible in the app? and their functions and features. Cloud hosting or Dedicated server? While cloud-based hosting can be done virtually in entirely, for a dedicated server, a physical location and necessary hardware, is a necessity. Cloud-based servers are easy to manage, structure and can also be accessed through any mobile devices with the help of internet. Clouds usually cost more than a dedicated server but there are a lot of options to choose from. To manage a fairly big operation, cloud-solution makes sense. Scalability is much easier than a dedicated server, although scalability is not even an issue before you’ve grown Up to a point where it makes sense to scale. Dedicated servers are known to for providing better performance. For small businesses having relatively simple hosting operations, dedicated servers is the ideal choice. If managed properly, a dedicated server can provide greater performance and reliability at lower costs than current cloud service options. Based on these argument you can make your mind, depending what kind of operation you are running. What is the best cross platform SDK for mobile game development? If you want to go for cross-platform game-development, you have plenty of cross-platform SDK’s to choose from. I’d recommend Unity, if you are making a 3D or 2D game. Unity has a long great features and it has built a community of great developers over time. I asked around a couple of developer friends and most of them had the same answer. Other recommendations for 2D development included Cococs2D, Marmalade, CoronaSDK. User Experience: Thing to keep in mind for a better UI? This question is an answer in itself. Yes, UE is THE thing to keep in mind for a better (ANY) UI. User interface is THE most important part of any application. It is through UI, that a user interacts with the application. It is important to keep in mind that UI is half the experience that your application provides. If the interface is hard to navigate and unappealing, the user would definitely hate the app, especially when there are so many developers competing for the same user base.The idea is important, the MOST important part of any application, for sure. But the presentation also matters. A good UI enhances the user-experience and engagement. So if UI is made keeping in mind what the users like and want, an application is halfway already. What are the new trends in mobile application development? I came across this informative blog while browsing the web and I think you will find it useful. Which is the Best language to create android apps? If you want to make apps for android specifically, then I think Java is your best (only?) option. But, You can always go cross-platform and start developing using different available SDK’s (there are plenty of them available). Which sdk is best for android development for beginners. what do you think about android studio? If you’re just beginning, I’d recommend Android studio. If you want other good options with that, you have Eclipse+ADT, IntelliJ idea. Can I create an Android game completely myself? Believe me when I tell you that It is totally possible. There are lot of Game engines that give you basic frameworks to play with, even if you don’t know how to code. You can implement simple ideas and make games that are interesting. However, if you want to make a game that is better and more complex in all aspects than the basic ones, you might have to take some help or wait a while before your project is complete. It is like any task; the more complicated it gets, the harder it is to manage it single handedly. But it can be done. I’d also recommend Unity (like the most), if you are going to take on making a game by yourself. In my opinion it has the best platform for 2D &3D both. How do I find the right Android application developer for a custom app? Look for developers with good skills and reputation. You can access their previous work and client list to get a good idea of their work quality and client-satisfaction level. Let their work speak for them. One more important thing to keep in mind while looking for developers to hire is, make sure that he/they are on the same level as you about your idea. What I mean is, a developer who has a good understanding of what you want, can develop faster and better, meaning less time and money. Also, he can communicate his vision to help you design a really great product. To find developers look for online developer profiles and different reputable firms and select the one’s you think most vibe with your project needs. Also, one more recommendation from me is, avoid outsourcing (Unless you can keep the communication and progress well-managed). “Hiring the right developer can mean success for your application!”- It’s a valid assumption. You can start by asking your friends and people you know for references. They may know someone who might be interested in developing a success story. Even if you don’t get a lead, discussing your idea will help you in defining it better. You can check out different developer who have their portfolios online. Assess their work and client reviews to get an idea who might fit your profile. You are looking for someone with a good energy and interest and/or experience in the field you’re exploring. Discuss your idea, and listen to what their vision is. Good partnerships are often the key ingredient for success. Although it might cost you a little extra, but don’t ever compromise the quality of service. “Striving for the Best”, should be your development mantra. Here’s an article I found on the internet that i think might help you further. What is the difference between the Android version of Lollipop and Marshmallow? Is it all right to update Marshmallow on our smartphones? Between Lollipop and Marshmallow, Marshmallow feels like a more advaced OS. This is because, Marshmallow fixes the number of bugs that lollipop possesed. Mellow offers an integrated options for managing apps, which android previously lacked. With “Doze” , Marshmellow greatly improved the battery life of the Android. It also introduced the figerprint security features along with “Androidpay”, together improving the safety and efficiency of the device and E-commerce experiance. There are a lot of things that Marshmellow introduced as an improvementt of Lollipop. Marshmellow came as the much needed, grown-up version of its predecessor. What are the best android apps developed by Indians? 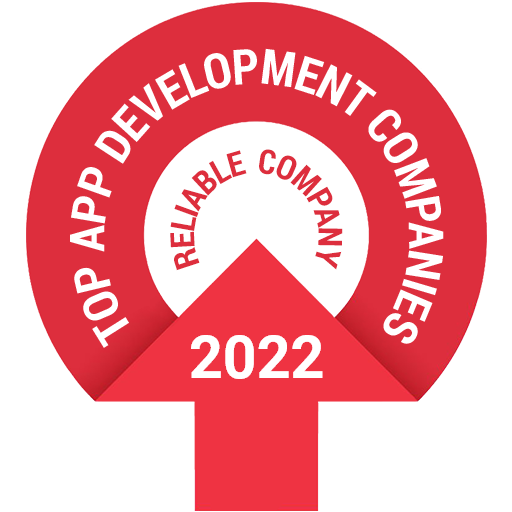 There are a lot of Applications, developed y Indian developers, that are performing wondrfully today. Here is a list of top indian applications that I think left there mark. Founded by an alumnus of Indian Institute of Management Ahmedabadan in 2000, it is online travel company and offers online travel services that include- flight tickets, hotel reservations, rail and bus tickets along with holiday packages for domestic as well as international locations. Bookmyshow lets users book tickets for movies shows, theater plays and other such events It also lets you check out the details of the events. It is the most popular option in India for booking a seat in India. The application has had more than 5 Million downloads. It is an app that lets users perform their mobile and DTH recharge with their smartphones. The app offers a comfortable mobile shopping experience with options such as bargaining. This is a very popular online poker game, introduced by Noida based company Octro. You can catch a teen-patti pop-up while browsing on the internet, and you’d ignore it as being “that ad”, that’s how popular it is! This app lets you scour the best placesz to eat around you. If you’re ever just out there anywhere in India thinking to yourself where to eat, Zomato probably has an option prepared for you. There are many other great applications like Flipkart, Snapdeal, Hike, Justdial, Quickr, VithU; that are just as popular and well-designed. India is embracing the online trend slowly, and there is a lot of good stuff to come. Get your developer’s account first. You’ll have to pay a one-time fee of $25. With the developer’s console, you can host your app by following the procedure described below. 1.) Write a dscription that explains your application and its purpose. 2.) With the help of development tools like Eclipse with Android SDK or Android Studio, create a good package for your application. 3.) Upload the .apk file to your account and, viola! You made it. Application takes about about an hour, before its live. After that, your app is out there for the world. You can do a couple of things. First off, make a website where you can share updates and blogs for your application. A place where people can come and download the app, read updates and recent news about the same. Then you can make social media presence for it by signing up on various social media platforms. Staying connected with your target audience is very important. Generate fresh and engaging data on a regular basis to estabish a firm presensce. Ask people for opinions and share relevent and interesting news such as network growth, statistical data, recent activities and events. You can also hire people for services like SEO optimization, SMO for doing the same ; if you cannot do it yourself that is.